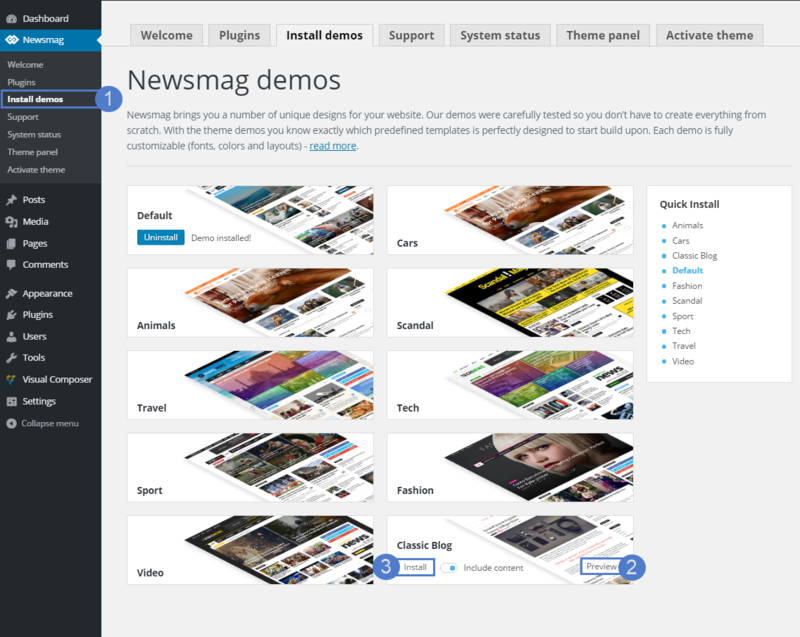 The Newsmag Theme comes with 14 unique designs for your website. Our demos were carefully tested so you don’t have to create everything from scratch, just choose a template, click, and you’re done. You can preview the desired demo before installing it. Go to Newsmag > Install demos section. There, you will find all the available demos. Choose the one you like and click on the Preview button to preview a demo or the Install button to install a demo. You can install a demo importing all settings and content, or just the settings. 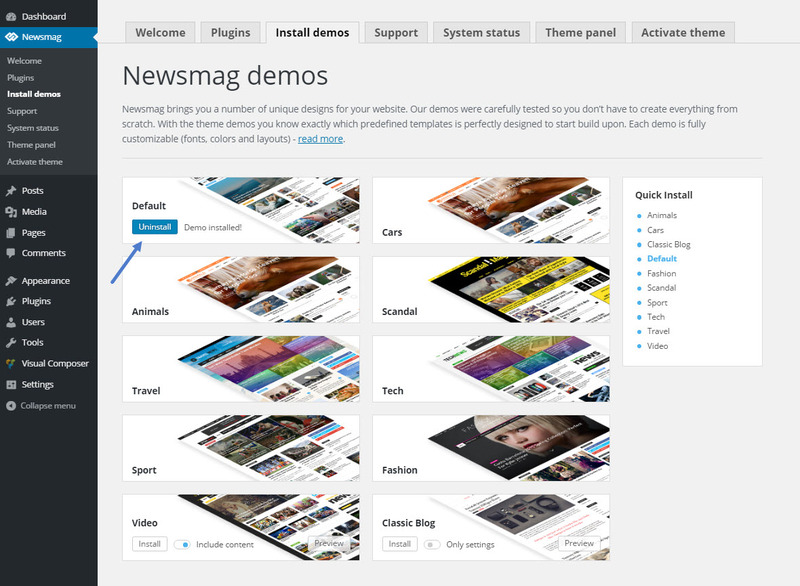 Go to Newsmag > Install demos section. Choose the one you like and turn the Include content setting ON or OFF. ***Important notice: If you choose to install a demo with content, do not edit the content and use it as your site content, because the demo content will be removed when uninstalling or switching demos. 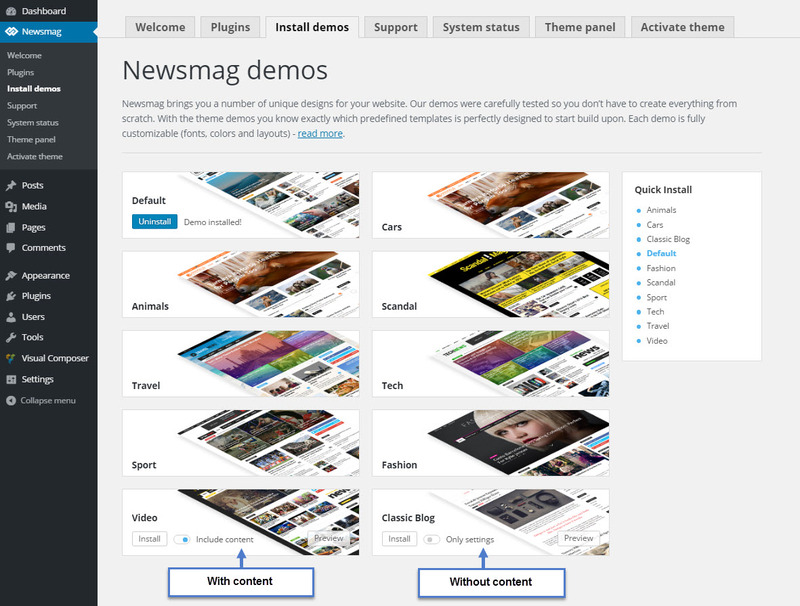 To uninstall a demo, go to Newsmag > Install demos section. Click on the Uninstall button.